Google glass may be losing some of its shine as the novelty wears off for some of us, but that hasn’t stopped Google from building on its original design and trying to come up with a better version. Now, a day after offering existing members of its Explorer program the opportunity to exchange their Glass for a new one, Google has showed off what the new model looks like. You’ll have to look pretty hard to see the differences, too. The main difference, and the one that will no doubt get the most attention, is the addition of a mono earbud. Glass has always had a speaker that allows wearers to hear feedback, but the earbud should make that a little easier to do in noisier situations. Importantly, it can also be removed for those that don’t want to look like their quietly orchestrating a SWAT team, too. Those who wear prescription spectacles currently will also be pleased to learn that this new version of Glass will be the first to support prescription lenses, too. Just as important as the new hardware is the news that Google is now inviting its Explorer members to give up to three of their friends the opportunity to get in on the Google Glass action. They’ll need to stump up the $1,500 entry price though but that’s a small price to pay in order to be such an early adopter. 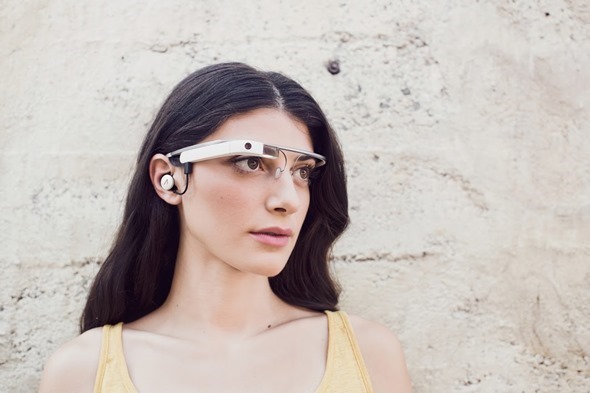 Google Glass is still very much in that early adopter phase, but the company is still talking about having a more consumer friendly, and hopefully cheaper version of its wearable technology ready for general consumption some time next year. 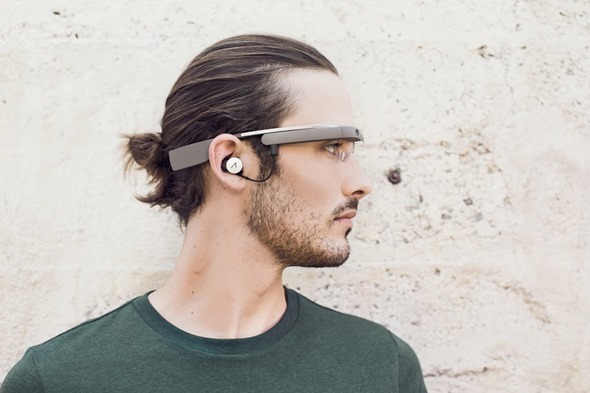 We’re still a long way from Google Glass being the kind of thing you see everyone wearing as you walk down the street, and it’s still unclear as to whether people really want Glass in their lives. With Google now ramping up production though, at least people will be able to jump on the bandwagon should they so wish come the end of 2014.